Taxation is a significant factor in determining the global distribution of economic activity, particularly in the financial services sector, one of the most rapidly growing components of the global economy. The participation of small and developing countries in this sector depends on creating a 'level playing field' between rich countries on the one hand, and small and developing countries on the other. It also requires mechanisms for removing the present and potential future discrimination against small and developing countries in this sector. 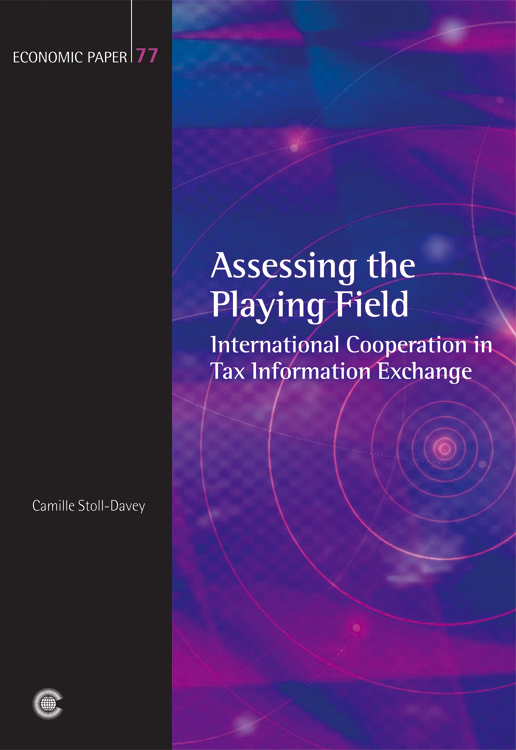 Stoll-Davey analyses recent debates between the OECD and small and developing countries (represented through the International Trade and Investment Organisation), and suggests ways to ensure fairness in future international taxation matters. Camille Stoll-Davey The author holds a degree in accounting from Barry University, and a diploma in law from Oxford Brookes University, and is qualified as a Certified Public Accountant. She has held various senior positions in the finance industry and is currently completing her doctorate in financial law at the University of Oxford.